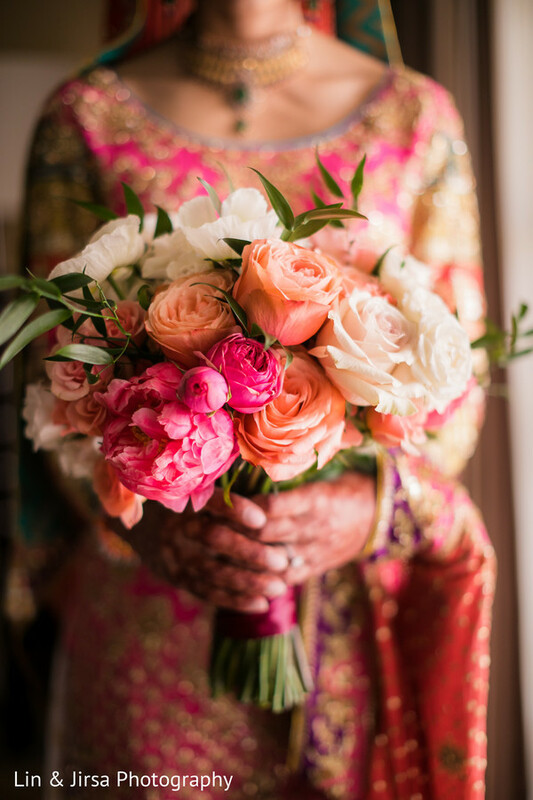 I got all the romantic feels after going through these charming photos captured by Lin & Jirsa Photography honoring Amna and Daanish. 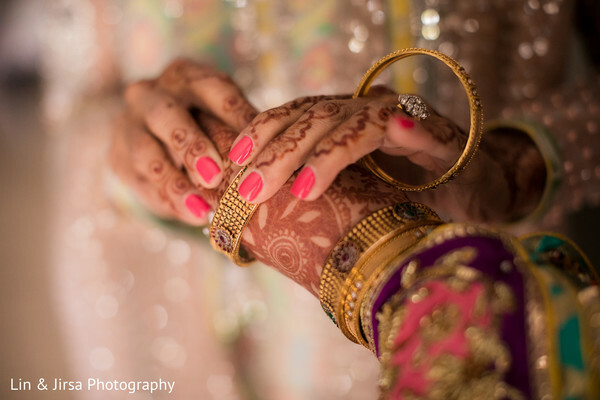 Amna's wedding day started off with a morning full to the brim with family fun. 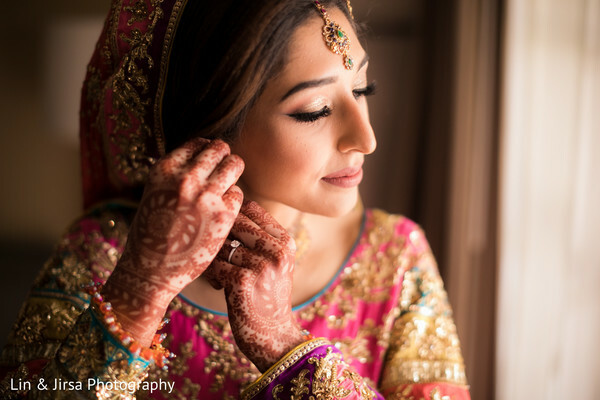 The bride got ready with talented artists Makeup by Rooh and Farah Mela. 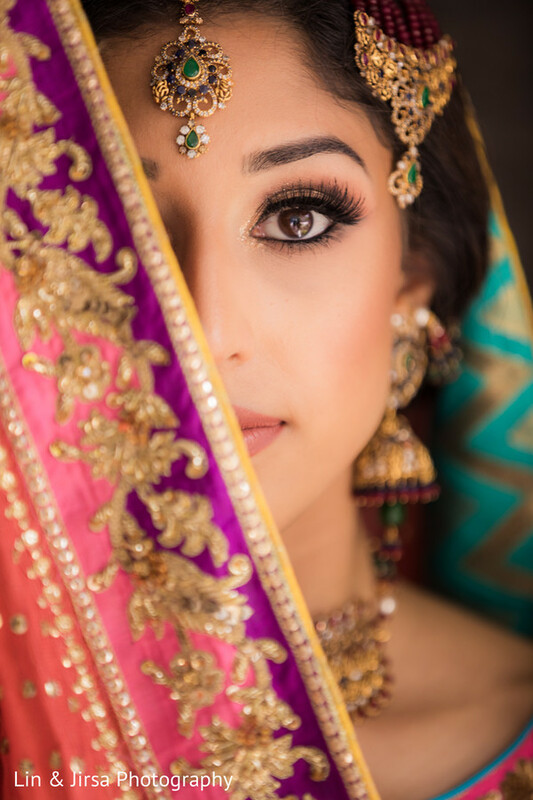 A sophisticated updo and vivacious makeup for this natural beauty were all that was needed because, check out this amazing multifaceted, pure pastel bliss lengha! Long lace sleeves, sweeping skirt, and a sheer top with brocade designs made this designer piece truly one of a kind. 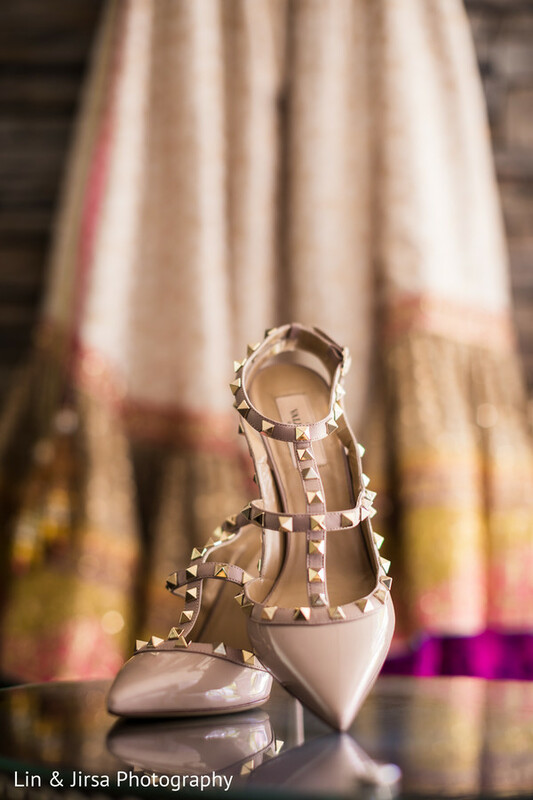 I love the bride's standout style that embraced romance in a frothy, layered gown in soft shades. 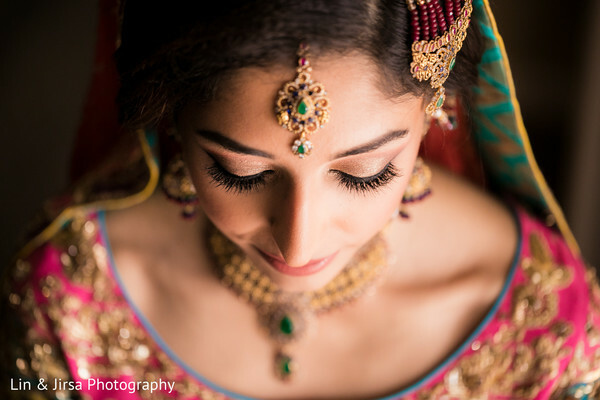 Blue Lotus Insights designed a blueprint of a stellar Indian wedding vendor dream team that included the talents of 3D Sounds and Ronobir Lahiri Music. 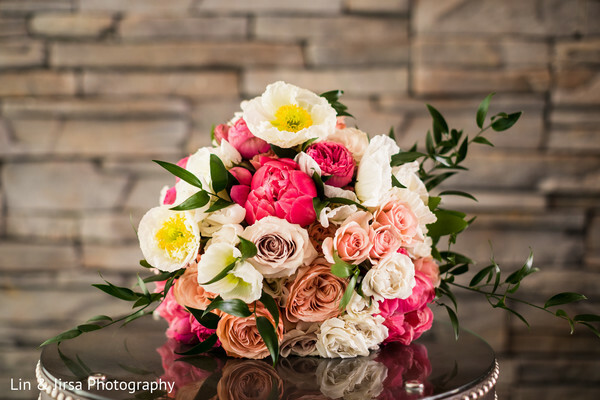 Lin and Jirsa Photography has captured the bright and cheerful night and you can see all the jolly moments in the gallery! Hang on tight! 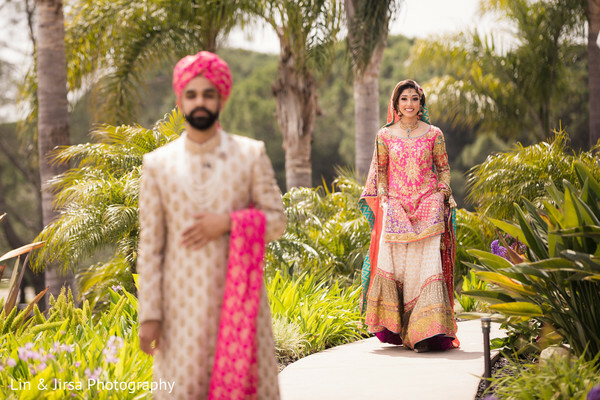 You are going to love the Indian wedding!